Every business has different materials handling needs, so it’s important you choose the right forklift for your business to ensure you get maximum efficiency and value for money. At Lencrow Forklifts we supply a range of forklifts for different applications, so we’ve put together this simple guide alongside a quiz to help you determine which type of forklift is right for your business. If you’re not quite there yet, these key considerations will get the right gears motion and put you on the path to your ideal forklift solution. One of the most important factors that will influence what forklift you should choose for your business is whether you’ll be using your forklift inside a building or outdoors. This will determine which type of power or fuel supply is most suitable, being either diesel, LPG/petrol or electric. As a general rule of thumb, if your forklift will be operating mainly indoors, electricity would be the power supply of choice due to its quiet operation and zero emissions. 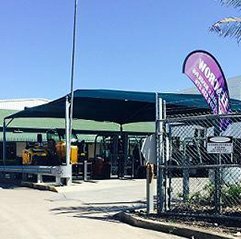 Indoor or outdoor use will also determine the size and type of wheels and tyres that your forklift requires. You’ll need small, solid tyres for indoor use and larger, heavy-duty ones for outdoor operations. A second consideration is the type of terrain your forklift will be operating on, which is closely tied to whether you’ll be using it indoors or outdoors. Indoor terrain will normally be a smooth cement surface that’s found in most warehouses and loading bays, and this surface is ideally suited to the small, solid wheels of an electric forklift. Outdoor terrain, which can be asphalt, gravel or even raw ground, is usually much less uniform than indoor surfaces, and this will influence the wheel type and power supply your forklift needs. How often your forklift will be operating outdoors and the degree of roughness of the terrain will also determine how rugged your forklift will need to be. The type of work you’ll be doing with your forklift and the location of the work are also important considerations. Will you be using your forklift in a hostile environment such as a cool room or freezer? Will it will be performing specialised tasks at above average heights? Will the forklift be handling heavy or difficult loads? These are all factors that will determine the type of forklift you’ll need. These days forklifts are built for a variety of applications, so if your forklift will be used for only one type of task, it may well be worth purchasing specialised equipment. But if you only need specific tasks performed infrequently and need a regular forklift the rest of the time, there are a range of attachments available that allow a standard forklift to perform a variety of different operations. As well as application, it’s also important you think about the type of load your forklift will be carrying. Depending on the kind of business you’re running, your forklift could be required to carry pallets, timber, steel, or heavy machinery, all of which can be non-standard sizes and weights and require a special forklift or attachment. 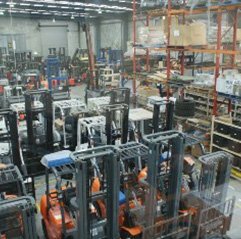 If you’re operating a business that handles palletised goods, you’ll have a range of suitable forklifts to choose from as most are designed for standard pallet handling. The main differentiating factor when choosing which forklift is best will then be how much or how little weight it needs to carry. The next logical consideration is then how much capacity you’ll need your forklift to have. Forklift capacity is the amount the forklift is able to safely lift and carry, and this can range from 1.5 tonne up to 10 tonne and beyond. Capacity is closely related to power, as a forklift that can lift 10 tonne will need to have a powerful engine to be able to lift and move that much weight from point A to point B. As a general rule of thumb, most Australian CHEP palletised goods weigh less than two tonne, meaning a forklift with a lower capacity is usually all you’ll need to get the job done. Finally, if you need your forklift to reach higher than a standard forklift to deposit and retrieve certain items, you may require a different type of materials handling equipment. Instead of a vertical mast, you’ll probably need a boom-style mast, which is a feature in machines such as telehandlers and container handlers or maybe a high lift reach truck. A telehandler is a highly versatile machine that can perform all the functions of a forklift, plus a variety of other tasks, including reaching high storage bays. Telehandlers are popular on construction sites, shipping depots, and in the agricultural industry, where their rugged construction and ability to do more than one job makes them very useful and cost-effective. This guide provides you with a general idea of the considerations involved in selecting a forklift, but if you want to find out exactly which type of forklift is right for your business, take our quiz now. The quiz is free and takes less than a minute to complete. Simply answer the six questions, add your contact details, and we’ll send you the results via email. 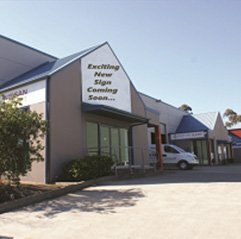 You can also talk to one of our friendly consultants about your forklift sales or rental needs by calling Lencrow Forklifts on 1300 536 276.